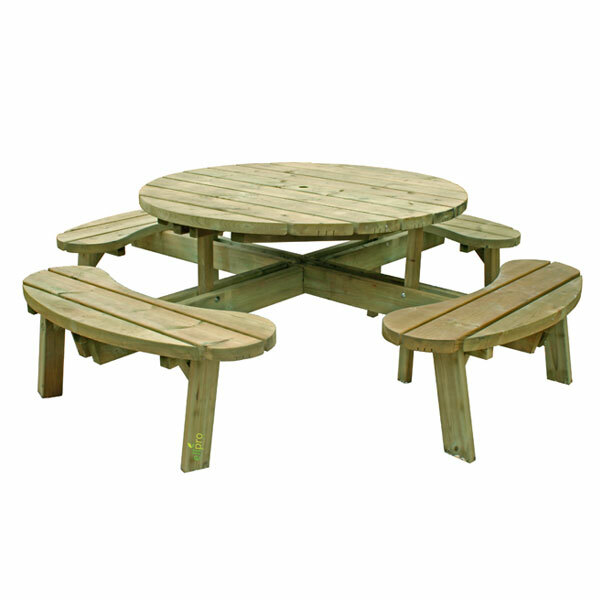 All our garden furniture products are constructed with pressure treated softwood. The seats and table top of our round picnic table area solid 40mm. These popular designs are not only suitable for any domestic garden but are durable enough for public areas such as Pubs, Clubs and Picnic Areas.